Community is a desire, continually replenishing itself as people seek voice and connectedness, in all their imperfections. 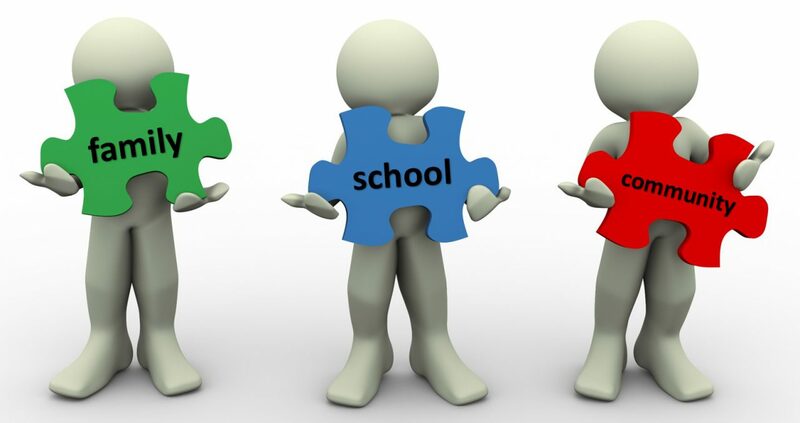 In this blog series to date I have shared my thinking on communal leadership and how school leaders have a key role to play in community capacity building. I have suggested that school leaders adopt the learning on offer from and stance taken by outstanding people in the field of community organising. In this blog I return to the concept of ‘community’ itself, its complexity and why defining it is problematic in itself. In Blog V, I introduced the work of the late Jeremy Brent. I draw on Brent’s work because I believe that Brent is better qualified than most to offer perspective on community. Brent worked for 30 years as a youth worker on the Southmead Estate, Bristol, starting in 1975. He took a Masters degree in Cultural Studies at Birmingham University in 1992, and went on to complete a PhD at the University of West England, Bristol in 2000. Brent described his research as ‘a search for a way to understand and engage with community, both in general, and specifically in Southmead’. It is said that Brent refused ‘promotion’ because he wanted to stay on the ground, in the community. Those of us who enjoy or have enjoyed the privilege of serving as school leaders recognise the thrill of being on the ground, in the thick of it. It seems to me that Brent is a classic example of praxis in action. Praxis being a unity of theory and practice, which, in community development, involves theory generated in action. Ideas can give you the run of the world – action is limited. What I would say is that I do not think that we think hard enough and deeply enough about what we mean when we speak of, and make statements about, ‘community’ in our schools. My thinking is tested by Brent in the way he argues that community is best understood in terms of the processes by which it comes about. Community isn’t something that is given or can be relied on. Rather, Brent says, the idea of community is attached to different forms of collective identity that have actually to be created. It is like a roof under which we shelter in heavy rain, like a fireplace at which we warm our hands on a frosty day. that globalisation and its partner, individualisation, are totalising forces that undermine all other forms of social organisation. As a parent, a citizen, and as a school leader, I sit bolt upright and take notice at this point. And then take some solace as Brent suggests that there is a flip side to the suggestion that community be denied by globalisation, rather that it contests what can equally be criticised as the illusions of individualism. He argues that communities that are dynamic and complex can exist in global conditions. This anti-definitional approach gives those involved in community activity the possibility, not having to build something that is already defined, but of creating new changes of their own to social life. Perhaps strangely, deconstructing community gives more scope for community action than does definition. There may be no exact truth to the term, yet, as Wittgenstein points out, ‘[“inexact”] does not mean “unusable”’. Further, that incompletion is a dynamic concept (p. 219). Curiosity: they are constantly curious about the way things are and how things could be different. They are also the provokers of curiosity in others; “for a people asking ‘why’ are beginning to rebel” (p 71). Irreverence: they have a profound dissatisfaction with dogma and all repressive ideas and practices. A sense of humour: they have the ability to recognise and come to terms with the contradictions in the world. A bit of a blurred vision of a better world: they have the ability to see how small actions and projects link into broader movements for social change. Is it just me or does the description of such traits, and the liberty on offer if we accept Brent’s suggestion that there is no exactitude around the term ‘community,’ a whet to your appetite? Community is the continually reproduced desire to overcome the adversity of social life, and it is community as desire rather than community as social object which commands engagement. Bear in mind, as Tocqueville argued in his observations of civic life in America in the 1830s, organisers bring individuals together in a way that creates a collective capacity not present when individuals act alone. Organisers do not simply aggregate individuals but also create new relationships between them that generate new commitments and resources. If you have stuck with my line of thinking and its presentation, thank-you. I would be interested to know where that leaves you so far as your thinking on community and community capacity building is concerned. I repeat, I do not think that we think hard enough and deeply enough about what we mean when we speak of, and make statements about community in our schools. I do think Jeremy Brent’s authoritative and quite brilliant insights throw up a positively thrilling opportunity that schools and school leaders would do well to embrace. I confess to watching the Pride of Britain Awards, broadcast this week. I admit to being decidedly dewy eyed watching the piece on Dr Paul Stephenson as he received the Lifetime Achievement Award. Dr Stephenson changed the face of race relations in the UK, taking on institutionalised racism, setting up a sports association with Muhammad Ali. As a young social worker in 1963, civil rights campaigner Stephenson led the successful 60-day boycott of a Bristol bus company that refused to employ black or Asian people, paving the way for Britain’s first race laws. His campaign, inspired by Rosa Parks, directly resulted in the company revoking their colour bar. Eighty years old and suffering from Parkinson’s disease, Dr Stephenson continues to speak out against the effects of discrimination. On taking the stage, Stephenson took the microphone and simply reminded everyone that we owe it to our children and our grandchildren to hand over a society fit for them to live in. Let us not allow our school communities to be an ‘illusion’ within the globalised world. Rather, let us go with Jeremy Brent’s line ‘Communities that are dynamic and complex can exist in global conditions.’ Let us seek to understand the complexity inherent to our own school community context and exercise curiosity, irreverence, imagination, a sense of humour, along with a bit of a blurred vision about a better world. To be modern … is to experience personal and social life as a maelstrom, to find one’s world and oneself in perpetual disintegration and renewal, trouble and anguish, ambiguity and contradiction: to be part of a universe in which all that is solid melts into air. Not on our watch, eh?! Beck, D. and Purcell, R (2013) International Community Organising: Taking Power, Making Change. Bristol: Policy Press. Brent, J. (2004) ‘The desire for community: Illusion, confusion and paradox’, Community Development Journal, 39 (3): 213-23. Ganz, M. (2009) Why David Sometimes Wins: Leadership, Strategy and the Organisation in the California Farm Worker Movement. New York: Oxford University Press. Ledworth, M. (2011) Community development: A critical approach. Bristol: Policy Press. Tocqueville, A de. (1969) Democracy in America. New York: Harper Perennial.